A couple of weeks ago, we published Kleros white paper, which explains how this decentralized arbitration protocol uses game theory, blockchain and crowdsourcing for adjudicating claims in a fast, transparent and inexpensive way. Since that moment, we received a number of questions regarding both technical and business aspects of the protocol. Here are the answers. The ekklesiasterion of Messene. 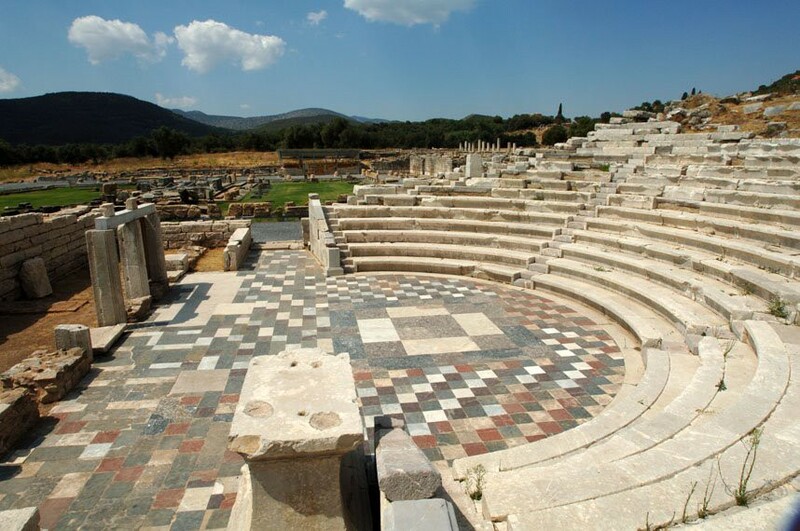 In democratic Greek city-states, the ekklesiasterion was the meeting place of the popular assembly (ekklesia). How are jurors selected and how do you make sure they do honest work? Kleros relies on game theory, cryptography and blockchain for securing evidence, selecting jurors and providing them the incentives to make honest decisions. The protocol token (the pinakion, PNK) represents the right of users to be drawn randomly as jurors. Incentives are based on a game theoretical concept known as Schelling Point, developed by Thomas Schelling, Nobel Prize in Economics 2005. The fundamental insight is that jurors voting coherently with the majority should be rewarded. Jurors voting incoherently should be punished. Users doing high quality and honest work will make money. Users doing poor quality or dishonest work will lose money. The Strategy of Conflict. 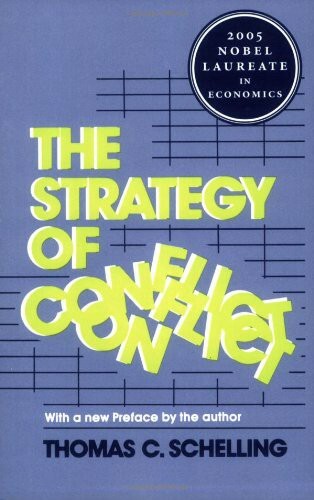 Originally published in 1960, this book pioneered the study of bargaining and strategic behavior in situations of conflict. In this book, Schelling introduced the concept of focal point, which many people know today as Schelling Point. How is the number of jurors decided? The number of jurors is decided by the parties. When they create the contract, they may decide to have one, three, five or any number of jurors. If one of the parties is not satisfied by a decision, it can appeal. The case will be reviewed by a new tribunal. The appealing party will be charged for the arbitration fee for the new jurors. Is the identity of jurors revealed? Since decisions made in Kleros affect the allocation of resources, there is an incentive for parties to try to bribe or intimidate the tribunal. Anonimity is intended to protect jurors from intimidation and retaliation. It also simplifies the process of users becoming jurors and avoids the costs of identity verification. By providing a secure environment and simplifying the selection process, Kleros greatly enlarges the pool of potential jurors. This results in lower arbitration costs and the democratization of access to justice. Can you really trust a decision made by a bunch of anonymous people on the Internet? Satoshi Nakamoto taught us that a number of anonymous computers who do not trust each can still reach consensus, provided incentives are correctly structured. Kleros extends this principle to human decision making. A number of anonymous jurors who do not trust each other can reach consensus on a right decision, provided incentives are correctly structured. To learn more about the incentive system, read our white paper. How does the enforcement work? What if the loser does not want to abide by the decision? Kleros is a voluntary opt-in system, which means that parties have to accept it beforehand. Enforcement mechanisms will depend on the use case. In e-commerce, for example, the buyer can make a payment to a smart contract or an escrow account. If there is no dispute, money is released to the seller. If a dispute arises, Kleros will make the decision. Buyer and seller cannot avoid enforcement because funds are held in escrow. In other cases, decisions could be enforced by a Kleros partner. Imagine a social media platform using Kleros to punish abuse. Kleros jury will decide whether abuse existed in a specific case. Then, the social media platform enforces the decision by taking reputation points away from the abuser. In this case, the use of the platform automatically implies accepting Kleros as dispute resolution mechanism. We are from organization X and would like to use Kleros. However, for XYZ reasons, we can’t use anonymous jurors. Can we tweak Kleros in order to only select jurors from a pre-vetted pool? At this point, it is not possible to select jurors from a pre-defined pool. Anyone having tokens can self-select to be drawn randomly as a juror. However, we understand that selecting jurors from a pre-vetted pool is important in many use cases. If this is your situation, please contact us. We would like to know more about your use case. What happens with activated pinakion tokens? After a user activated them to be drawn in a subcourt, tokens are frozen until the court session ends. If the juror has voted incoherently with the majority, he will lose part of the tokens. If the juror has voted coherently with the majority, he will win some tokens (these tokens will be lost by jurors having voted incoherently). But the total amount of pinakion stay the same. They are not destroyed. A pinakion. The ID token used by the Ancient Athenians to be drawn as jurors in a popular trial. How many pinakion will exist? The supply of pinakion is fixed at 1,000,000,000 units. Does a party who wants to have a case adjudicated need to have pinakion? No, only jurors will need pinakion in order to be drawn. Parties don’t even need to know what a pinakion is. What do I need to set up before the sale? If you want to use the IICO interface, then you need to use a web3 enabled browser. Web3 is what’s referred to when interacting with decentralised applications or networks. In this case installing Metamask is the easiest option. Below you will find a list of web3 enabled browsers. How much gas should I enter in MetaMask? MetaMask will automatically calculate the amount of gas needed and add a little bit more just in case. You don’t need to worry about this. I don’t know what a web3 browser is and I don’t want to learn? I just want tokens. What should I do? This is too complicated. I just want to buy tokens. What should I do? 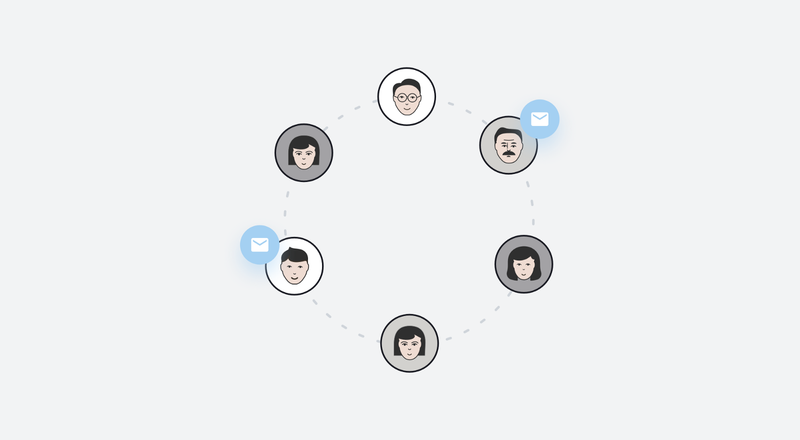 The IICO gives you more control over your contribution, but it may not be suited for everyone. If you don’t care about caps on valuations, you can select the simple interface and send your contribution to the address. In this case, no personal cap will be set. It works exactly the same as bidding in an uncapped sale. How is the withdraw and bonus timeline of the sale structured? Following the IICO protocol, the Kleros token sale will take place in three phases. Phase 1. Full Bonus Phase. May 15 to June 15. If you make your bid during this stage, you will get a 20% bonus. If you withdraw your bid during this stage, you will be refunded your entire contribution. For example, if you contribute 10 ETH on May 15 and then decide to withdraw on June 14, you will be refunded the whole 10 ETH. Phase 2. Partial Withdrawal Phase. June 15 to July 1. On June 15, the bonus starts to decrease linearly. 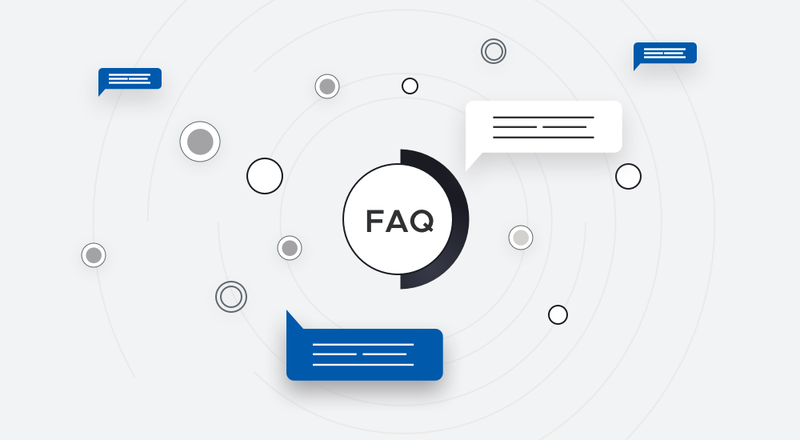 If you decide to withdraw during this phase, you will only be able to do so partially and you will have a ⅓ penalty on your bonus for the part that is not withdrawn. For example, if you make a contribution of 10 ETH on June 20, you will get a ~16.666% bonus. If you withdraw on June 25, you are refunded 3.75 ETH and your new bonus is ~11.111…%. Phase 3. Withdrawal Lockup Phase. July 1 to July 15. Starting July 1, voluntary withdrawals are no longer permitted. Also, new contributions must have a personal cap that is strictly more than or equal to the current valuation. At the end of the sale, tokens are distributed to participants who stayed in the sale and ETH is refunded to participants whose personal cap was exceeded. In some cases, the cut-off contribution might receive a partial ETH refund and some tokens. I have a support query whilst participating in the sale, can anyone help? Why are you having a 1 month period for free bonus? Doesn’t this incentivize people to buy at the end? This is the first time someone does a token sale using IICO. We want all participants to have enough time to carefully evaluate how the sale works. One month of 20% bonus and the possibility to manually withdraw is a reasonable amount of time for people to understand the dynamics of the sale. We are not driving the sale based on FOMO. It there a lockup period for buyers in the first round of the sale? No. Tokens can be sold after the first round ends on July 15. Tokens will not be redeemable until this date. This ensures the correct price valuation and token distribution is fair for all. What is Kleros token allocation? What amount of tokens will be liquid immediately after the sale on July 15? The 16% of PNK distributed during the first round will be immediately liquid after the sale ends. There is no lock-up period for buyers. Members of the team cannot sell tokens before they have worked at Kleros for at least 1 year. After one year they can sell a limited fraction of their tokens. They can sell everything after working on Kleros for 3 years. By the time the first round ends, members of the team will be able to send X% of their tokens. We have conducted a token airdrop of 0.5% during April. These tokens will be liquid after the end of the first round. Subsequent Rounds and Juror Incentive Program (50%) and Kleros Cooperative Development Reserve (12%) will not be liquid after the end of the first round. Will PNK be listed in exchanges? PNK will be listed on the decentralised exchanges along with some of the larger names in due course. We will release information regarding this in the coming weeks. Can I get tokens using a wallet different from the one I used for KYC? No. You have to make your contribution with the wallet you declared in the KYC. But of course you can transfer the PNK to a different wallet after you receive them. What’s the price of PNK? Because of the dynamic of the IICO, the price of PNK will only be determined during the sale. How is the price of PNK determined? The price of PNK is determined by a process of iterative consensus in which contributors react to market data. Because of the IICO protocol bonus structure, different contributors will end up acquiring tokens at different prices: the bigger the bonus, the cheaper you will get your tokens. At the end of the sale you can get an estimate of the token prices everyone paid by dividing the valuation by the tokens for sale. When I did the KYC, I declared I wanted to contribute less than 5 ETH. Now I changed my mind and want to contribute more. But now the interface won’t let me place my bid. What should I do? To contribute more than 5 ETH, you need to do the reinforced KYC. Do it here. What does personal cap mean? Personal cap is the value you place on the token sale. If you think the Kleros sale is worth no more than 5000 ETH for example, you can select that as your personal cap. This means if the total contribution exceeds 5000ETH you will be withdrawn from the sale and your ETH returned. If you don’t want to deal with any types of Personal Cap there is an option which allows you to send ETH and receive tokens regardless of the total sale contribution. I accidentally withdrew my bid, what do I do? There’s nothing you can do with that bid anymore. The amount that is locked in, is locked in, and it will only be refunded if the bid has a personal cap and it is exceeded. The bonus penalty is also final. How long does the sale run for? The sale runs for 2 months, from May 15th to July 15th, 2018. To allow for proper market liquidization and price formation. Why would I want to place my bid as soon as the auction begins, when I could just wait right before June 15th? To avoid network congestions that cause high gas prices and the possibility of your transaction not being mined. How can I withdraw a bid? Click on the withdraw button next to the bid in the “Interactive” interface. Why would I want to withdraw my bid? If you regret making it and don’t want tokens anymore. Which currency can I use for my contribution? We only accept contributions in Ether (ETH). If you hold any other currencies, you can convert them into Ether on an exchange. How do I buy ETH at an exchange? Can you recommend me one? You can purchase ETH via large exchanges like Coinbase, Poloniex, Bittrex and more. LocalEthereum is also a great place to safely and conveniently acquire ETH. Even if you can use an exchange to buy ETH, you should NOT send your contribution to the sale from your account in the exchange. If you do that, your funds will be lost. I accidentally sent the contribution from my account at an exchange. How can I get my ETH back? Can I buy PNK by transferring money from my bank account? Unfortunately we don’t deal with any fiat currencies but you can use any of the methods listed above to buy ETH and then use that newly purchased ETH to participate in our token sale. Is there a minimum contribution for the KYC? What is the KYC process? Please see the link here for full details. How does the IICO work? When making your bid, you can choose a personal cap. This puts a ceiling on the valuation at which you will participate in the sale. Thanks to this, you can be certain that you won’t have to pay a higher price than the one you selected. If you want to be 100% sure to participate in the sale, the interface gives you the option not to select a personal cap. Find out exactly how the IICO works here. How do the stages of the token sale work? In the first phase of the sale (the “Full Bonus Phase”), participants can make contributions that take advantage of the sale’s full bonus and withdraw them with no penalty. In the second phase of the sale (the “Partial Withdrawals Phase”), participants can make contributions and also withdraw them, but this time, with a penalty. The bonus also starts decreasing linearly at this phase, while the penalty for withdrawals increases linearly. In the third phase of the sale (the “Withdrawal Lockup Phase”), voluntary withdrawals are no longer permitted. Also, new contributions must have a personal cap that is strictly more than or equal to the current valuation. How can I get a bonus in the token sale? In order to incentivize price formation, the Interactive Coin Offering rewards participants making their contribution early in the sale with a 20% bonus. The bonus decreases smoothly down to 10% at the beginning of the second stage of the IICO, and then down to 0% by the end. To have a larger bonus, you should make your contribution at an early stage in the sale. When will I receive my PNK? You will be able to withdraw your PNK immediately after the end of the token sale. Why can’t I have my tokens right after I send my contribution? Because of the mechanics of the Interactive Coin Offering, you will not be sure whether you will actually get PNK before the end of the token sale. If you select a personal cap, there is a chance you will be refunded your ETH and not get any PNK. If you selected no Personal Cap, the amount of PNK you will receive will only be determined at the end of the sale. When the token sale ends, you will be able to redeem your PNK and have them transferred to your wallet. Is there a lock up period for the tokens after the token sale is over? Buyers will be able to use and transfer the tokens as soon as the token sale ends. What timezone is the bonus phrases based off of? In the contract, UTC, but in the UI, we display them in your browser’s set timezone for convenience. I’m a US Accredited Investor, how can I participate? If you’re a US accredited investor, contact us at contact@kleros.io. Federico Ast. Co-Founder and CEO of Kleros. Clément Lesaege. Co-Founder and CTO of Kleros. Ph.D. Entrepreneur. Blockchain & Law. Singularity University GSP16. TEDx Speaker. Coursera Teacher on Blockchain. Founder of Kleros.io.